Style achieved. Dressed is your virtual closet. Keep track of your entire wardrobe. Plan new outfits with ease. 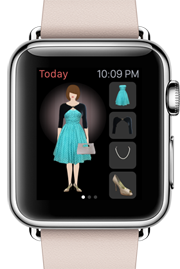 Dressed now works on the Apple Watch! Miucci Prada once said, “Fashion is instant language.” And we couldn’t agree more! Let Dressed help you speak more clearly. 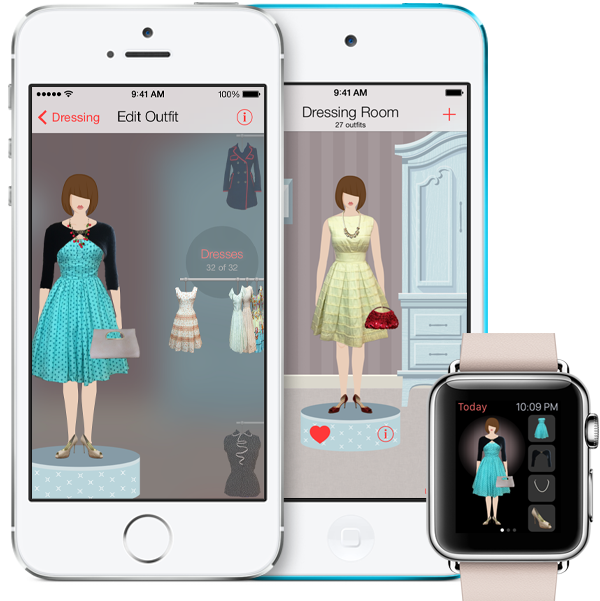 Dressed makes keeping track of your clothing and outfits a breeze by combining stunning graphics and animations with powerful features. 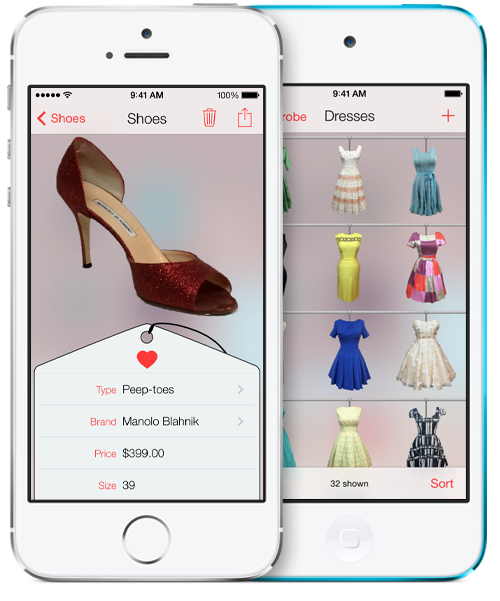 Dressed makes it easy to keep an entire inventory of your clothing, shoes, and accessories. Browsing your wardrobe is quick and easy. You know that feeling of finding $20 in your coat from last winter? Imagine the same feeling when you re-discover a dress you forgot you owned. Keep track of the details. Admit it…we all care about the details. And no one wants to make the mistake of wearing the same outfit twice in one week. Let Dressed manage the details so you don’t have to. Brand, price, color, season, function, custom tags, and more. It’ll even remember the last time you’ve worn it. Dressed is your very own virtual boudoir, where you can flip through the racks of your own clothing and accessories and figure out that perfect day-to-night look. Outfits can be quickly created by simply swiping clothing from the rack onto your personalized mannequin model. Mix and match and try new things effortlessly – your perfect look is just a swipe away. Trying on clothes can be a workout. Why not let your mannequin do it for you? The Dressed mannequin will model your outfits, letting you see what they will really look like when worn. Simplicity achieved. Organization achieved. Creativity achieved. Confidence achieved. Dressed. Style achieved.